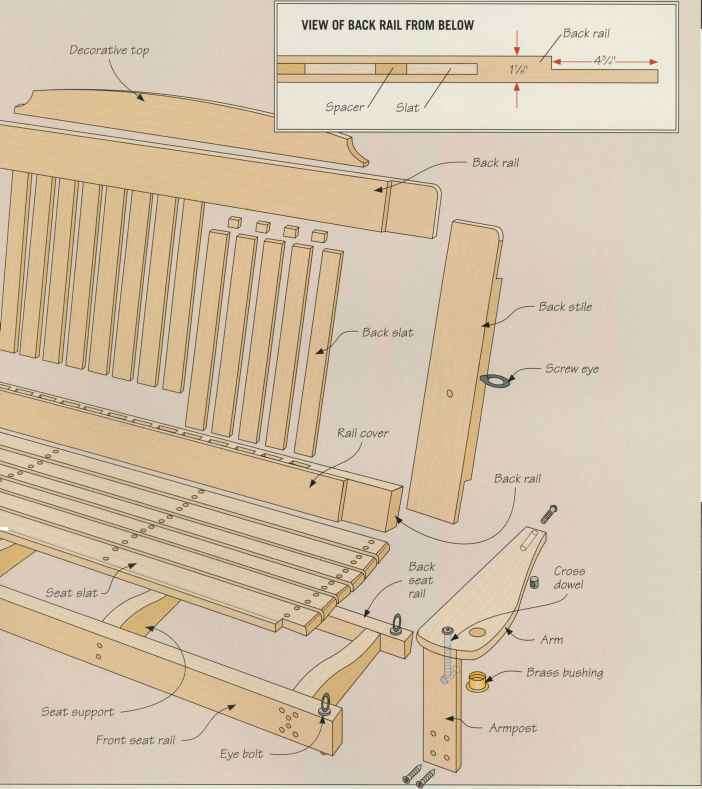 Once all the joinery cuts are made, spread glue on the contacting surfaces of the legs and side rails, and fit the rails and one pair of front and rear legs together. 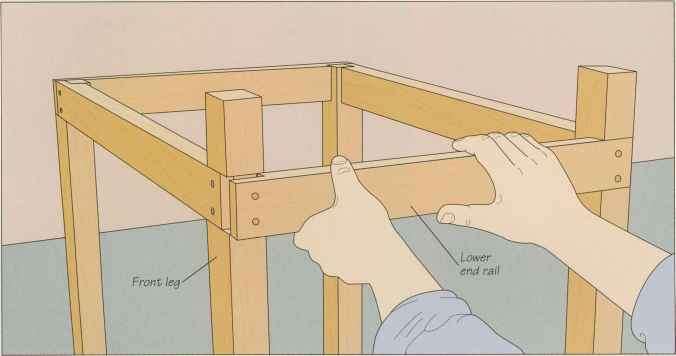 Use two screws to reinforce each joint, driving the fasteners through the rails and into the legs. To check whether the assembly is square, measure the diagonals between opposite corners immediately after tightening the screws (above). The two results should be the same. If not, install a bar clamp across the longer diagonal. Tighten the clamp a little at a time, measuring as you go until the two diagonals are equal.